Travel WOD - 54 Crossfit Travel WODs You Can Do Anywhere! Working out on the road can seem overwhelming as you have no equpiment and limited time. With that being said we have compiled a list of over 50 Crossfit travel WODs that require no equipment! 1 Round for Time – 100 Push-ups, 100 Sit-ups, 100 Squats. 10 rounds for time – 10 sit ups, 10 burpees. 2 minute max push ups, 1 minute break, 2 minutes max sit ups, 1 minute break, 2 minute max squats. 5 Rounds – 20 Lunge Steps, 20 Squats, 10 Push-ups. 5 Rounds – Handstand 30 seconds, 20 air squats. 10 Rounds – 10 walking lunges, 10 push-ups. 20 burpees, 20 push ups, 20 sit ups, 20 squats for 4 rounds. 21-15-9 of air squats and push-ups (21 reps of each then 15 reps of each then 9 of each). 1 Round for Time – 21 Push ups, 42 Squats, 15 Push ups, 30 Squats, 9 Push ups, 18 Squats. 10 rounds – 30 second squat jump, 30 second rest. 21-15-9 Rep Rounds – Lunges (each leg), handstand push ups. For time, 250 jumping jacks. 10 rounds of 10 second “L” sits off the floor. For time, 100 push ups. 3 Rounds – 20 Squats, 20 Burpees, 20 Push-Ups. 10 Rounds – 10 Push-ups, 10 Squats, 10 Situps. 5 Rounds of – 100 jumping jacks, 100 mountain climbers. 4 rounds of – 50 push ups, 50 sit ups. 3 Rounds – 20 jumping jacks, 20 burpees, 20 squats. 20 rounds – 5 push ups, 5 squats, 5 sit ups. 4 Rounds of 25 jumping squats. 5 Rounds -15m Bear Crawl, 20 Push-ups, 15m Crab Walk, 20 Jump Squats, 15m Broad Jump. 10 Rounds – 30 second handstand hold followed by holding for 30 seconds at bottom of squat. 5 Rounds for Time – Handstand 30 seconds, 20 squats. 100 squats 3 min. rest 100 squats. 10 rounds – 10 push-ups, 10 squats. 5 rounds of – 100 squats, 20 lunges, 35 push ups. 10-9-8-7-6-5-4-3-2-1 – Burpees, Sit ups. 5 Rounds for Time – 30 Push-ups, 40 Sit-ups, 50 Squats. 10 Rounds of – 10 Broad Jump Burpees, 10 Jumping Lunges. 100-75-50-25 reps – sit ups, flutter kicks (4 count). 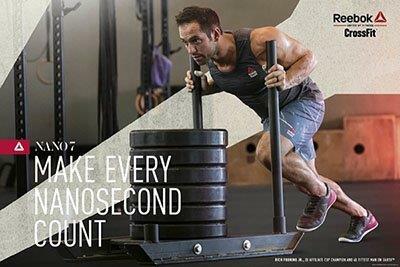 5 Rounds for Time – Ten vertical jumps jump as high as you can, land and do it again), 10 push-ups. 10-9-8-7-6-5-4-3-2-1 Rep Rounds – Burpees, Push ups, Sit ups. 5 Rounds: 3 vertical jumps, 3 squats, 3 long jumps. 3 Rounds For Time – 20 tuck jumps, 30 second handstands. 4 Rounds for Time – 50 squats Rest for 2 minutes between rounds. 7 Rounds for Time – 7 Squats, 7 Burpees. For Time, 100 jumping jacks, 75 squats, 50 push ups, 25 burpees. 3 Rounds: 30 push ups, 30 second handstand. 4 Rounds for Time – 10 vertical jumps, 10 push-ups, 10 sit ups. For time: 50 burpees, 75 flutter kicks (4 count), 100 push ups, 150 sit ups. 4 Rounds – 25 lunges, 50 squats. 5 Rounds – 50 air squats Rest equal amounts as it took to do each 50. 6 rounds for time – 10 push-ups, 10 squats, 10 sit ups. 8 Rounds – Handstand 30 seconds and 10 squats. 5 Rounds – 10 vertical jumps ( jump as high as you can, land and do it again), 10 push-ups. Test yourself on a max set of push ups, tight body chest to the floor, full extension. 3 Rounds – 50 push ups, 50 sit ups, 50 squats.